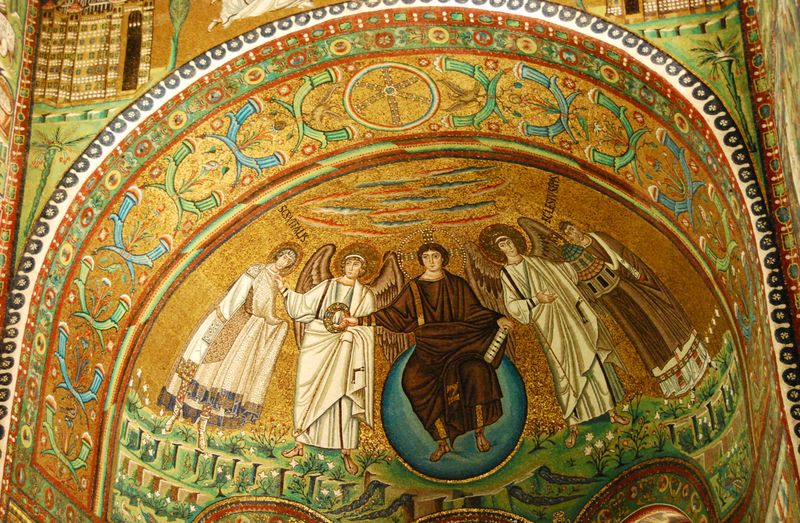 Ravenna is a city situated right on the Adriatic coast (Italy’s east coast), and has ties back to at least 90 BC. 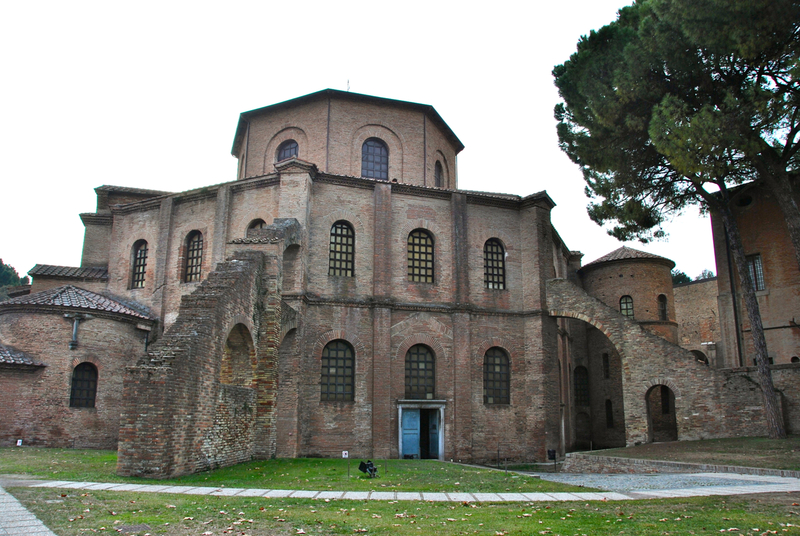 Amazingly, there are five of the eight UNESCO World heritage sites in Ravenna within walking distance of the harbor. Although rather simple on it’s exterior, some of the most amazing Byzantine mosaics in all of the western world are held within these walls. 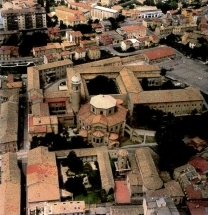 The church is of extreme importance in Byzantine art, as it is the only major church from the period of the Emperor Justinian I to survive virtually intact to the present day. It is amazing to see how someone can make a design come alive with pieces of stone and glass less than a centimeter square. Construction of this beautiful church took place in 526. 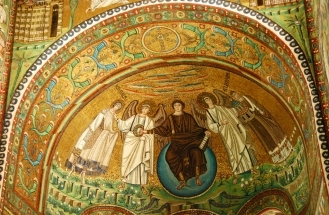 The splendor is in it’s Bible story telling combined with the beauty and art of the brilliant and colorful mosaics. Seeing these amazing works of art is certainly an unforgettable experience. How beautiful! All wall decorations having been made with little tiles is an awesome thought.! Thanks! G. & S..